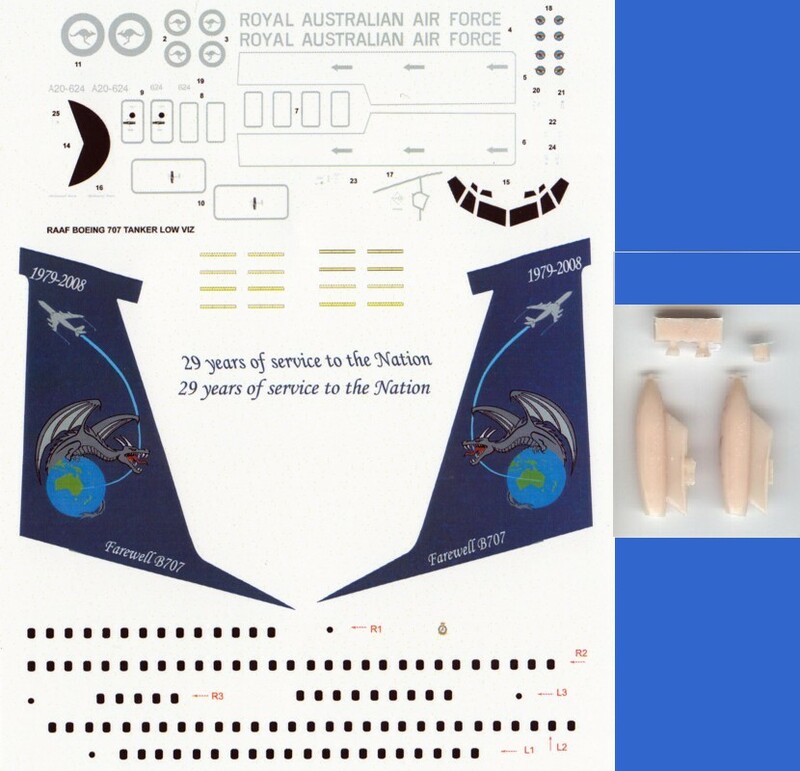 1/144 scale decal and resin conversion for Royal Australian Air Force Boeing 707 tanker/VIP transport. This item is a CONVERSION set. A model kit is NOT included. 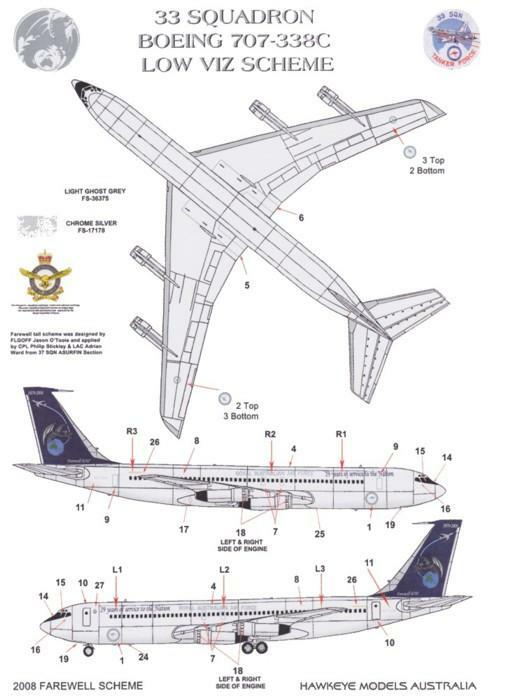 RAAF B707s were fitted with an Israel Aircraft Industries (IAI) tanker conversion. The modification involved the installation of underwing pods for hose and drogue equipment and a ventral TV camera housing for monitoring air to air refullling operations. This conversion set includes these parts in resin. Provides markings for B707-338C serial number A20-624 of No.33 Squadron RAAF in special markings applied when it was announced that the 707 was to be retired from service. The aircraft was in all over low viz grey and the decal markings include national markings, titles, doors, wing exit guides, separately printed cabin windows, cockpit windscreen, full serial number, Pratt & Whitney engine logos and minor stencil data. Laser print decals on continuous film. Screen printed white markings and underlays provided where required.